Laila Ali Was In Town! 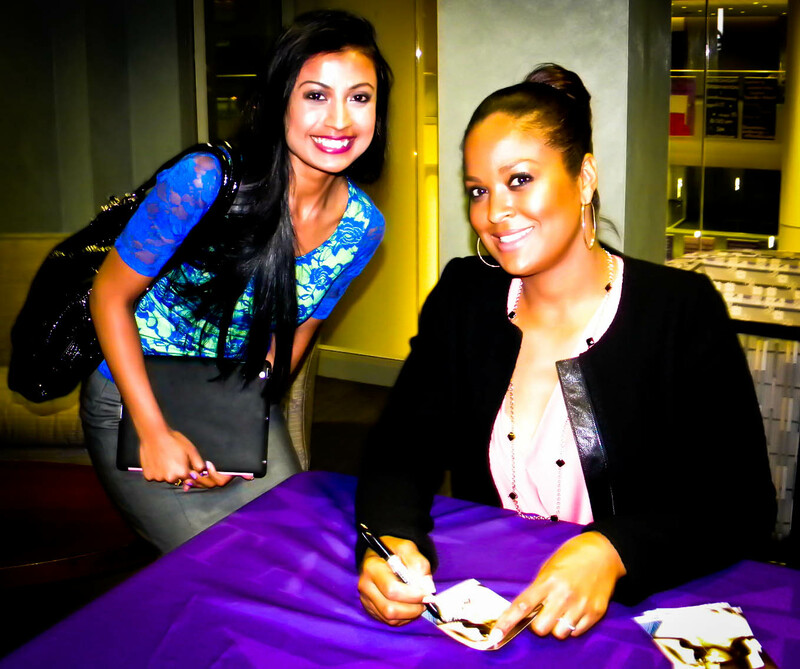 Thanks to my university (University of St. Thomas), I had the privilege of meeting and greeting one of the most inspiring and influential women in the world, Laila Ali. She is not only known as Muhammed Ali’s daughter and the one to carry on his boxing legacy, but she has proven to be much more. She carved a niche for herself in women’s boxing championship and with sheer hardwork and dedication proved to be a world champion. She is now a mother of two beautiful kids and happily married. 1). Fuel Your Lamborghini Right: I loved this analogy, of her comparing the human body to a Lamborghini, and making sure it is fueled with the right type of gas. In order to be a high performer like her, she had to make sure she ate right and fueled her body with nutrients in the best form possible. She talked about the importance of natural foods found in the earth and the benefits of consuming those versus processed food. 2). Be Balanced, Not a Fanatic: She talked about having a balanced and wholesome life for a lifetime of happiness and content. She emphazised on surrounding one’s self with the people who speak the same language and focus and nurture those relationships. 3). Set Goal and Map Out a Plan: She went back to her boxing days and talked about how she came to be the successful individual she is today. Her single-minded devotion towards boxing and a well mapped out plan for becoming a world champion was what helped her become one. Her Dad being her biggest role model, helped her become more like him and develop the high degree of confidence he has been known for. It was an inspiring talk and I am glad I could be part of it. Women like her set an example for women of all ages that we too can be successful in our own little way. We can be the champions of our lives and take care of ourselves. Be mindful about what we eat and become more serious about incorporating physical activities. And together we can fight to lessen the number of people dying of terminal diseases. Women play a million roles – mother, daughter, wife, and the list goes on. But always remember that we are women first! An awesome post! very relevant and very enlightening!